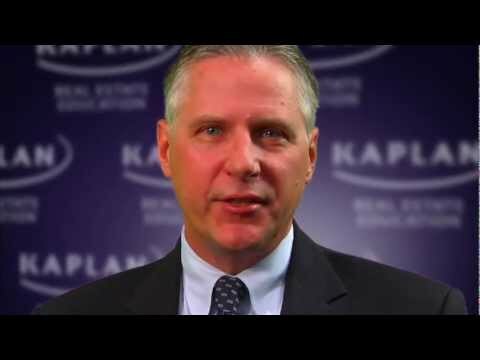 Thank you for your interest in becoming a member of the Kaplan Real Estate Education faculty. We look forward to the opportunity to meet motivated and enthusiastic people with an interest in exploring the teaching possibilities at Kaplan Real Estate Education. The fact is we are always looking for hot topic ideas and talented presenters. We make it our business to hire industry professionals. The following four steps outline the screening and development process that may qualify and prepare you to become a Kaplan Real Estate Education faculty member. Please review each step and provide the necessary information as requested. 1. The states in which we operate require that certain criteria be fulfilled by applicants for pre-licensing and continuing education instructors. If you are unsure if you qualify to become an instructor at Kaplan Real Estate Education, check with your state regulatory authority, or check with us to ensure that you meet their criteria. 2. If you meet the state qualifications and would like to pursue becoming a Kaplan Real Estate Education instructor, here is the next step to take: Prepare a brief resume. Please indicate your compliance with state requirements, field experience and speaking experience (if any), and if possible, any new course ideas or subject matter you would be interested in teaching at Kaplan Real Estate Education. Please email your resume to thighland@kaplan.com. You must complete this step to continue! 3. Upon receipt of your resume, a 30-minute telephone appointment will be scheduled by Kaplan Real Estate Education with you to discuss the instructor experience and expectations at Kaplan Real Estate Education. 4. Upon successful completion of our appointment, you will have the opportunity to participate on the fast track to instruction. You will be asked to prepare and present a sample presentation on a topic of your choice. You should be prepared to make a half-hour presentation. We are looking for a few great instructors who want to become a part of our faculty at Kaplan Real Estate Education. Follow these easy steps and you could be next! Now is the time to get started. During the next 60 days we will be organizing our course schedules for real estate, real estate appraisers, and mortgage. Start today with Step 1 and Step 2 and email your resume to the attention of Ted Highland, National Training Manager, at thighland@kaplan.com. If you have any questions, feel free to call 925-858-6751.